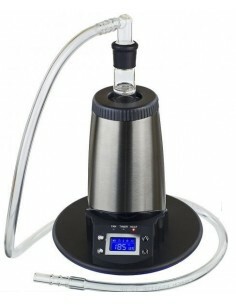 Arizer Vaporizer | Edabea S.L. 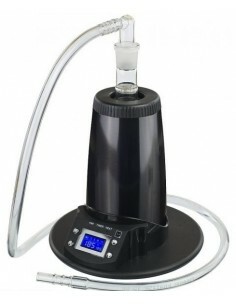 The Arizer Extreme Q is an improved version of the Arizer Extreme vaporizer from Canada. A new design, more energy efficient, and a much more silent fan. 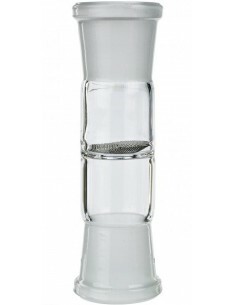 Glass mouthpiece for balloons. Includes "O"-rings. Only for the Arizer Extreme-Q. 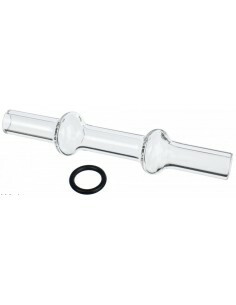 Hand-blown glass pin for stirring the Arizer vaporizer bowl. For potpourri or aromatherapy. Potpourri not included. 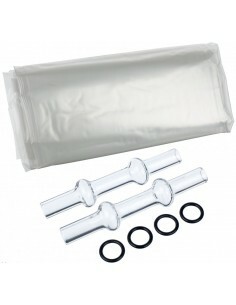 Includes 4 food grade bags/balloons untied, 2 glass mouthpieces with "O"-rings. Only for the Arizer Extreme. 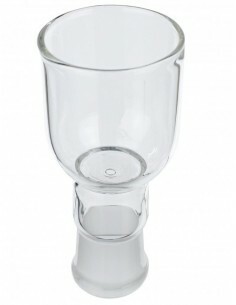 Same as Cyclone Bowl, but it's surrounded with high impact material to protect the glass from shattering. 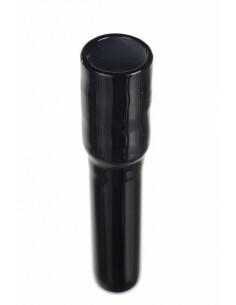 Handmade black borosilicate glass mouthpiece suitable for the Arizer Air and Arizer Solo vaporizer. 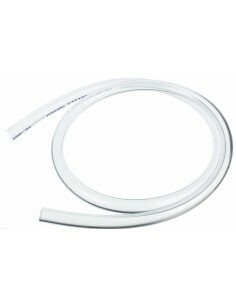 Length: 116 mm. 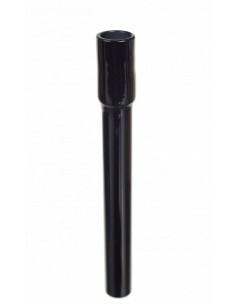 Handmade short black borosilicate glass mouthpiece suitable for the Arizer Air and Arizer Solo vaporizer. Length: 66 mm. 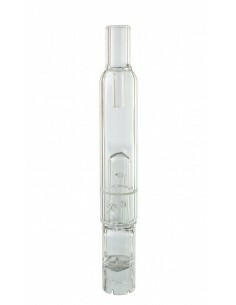 Hand-blown glass bubbler mouthpiece from Easy Flow cools the vapour as you inhale and you won't need any additional water tools or adapters. Suitable for the Air and Solo. Only slightly larger than the standard Arizer Solo mouthpiece, this revolutionary accessory brings fresh, cool vapour to a whole new level of discreetness and portability.